The monthly cost of our services depend on a few key factors, such as the number of keywords, how competitive your business niche is, as well as your current website's SEO state. 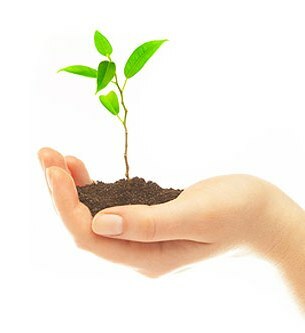 The duration of the campaign before your website reaches top 10 will depend on many factors such as site Page Rank, domain standing on Google, on-site content quality, previous SEO activities, current ranking in search engines, and other factors that will be analyzed after a quote request has been submitted. Our experience shows that on average, it takes an estimated 3-5 months of SEO before your website will be ranked on Page 1 of Google’s result page. If you for quicker front page results, we can setup and mange your PPC campaign in just 1 day! To get pricing and timeline for your site, fill out a quote request today! After the recent Google Algorithm updates, only quality content and authoritative backlinks combined with slow and manual submissions can ensure your websites sustainable ranking and traffic improvements. A large number of backlinks can no longer guarantee you first page results, and can actually harm and cause your website to be de-indexed by Google. Creating thousands of links as other companies may offer will not improve your ranking and traffic. In fact, it actually will be more damaging for your websites reputation with Google. With the post Google Penguin and Panda updates, more focus has to be put on the actual quality of links and the speed of which they are placed. Only unique articles, no link farms, and scheduled submissions during the initial 4 months of your campaign will bring your website sustainable results and place you in the top 10 results of Google. 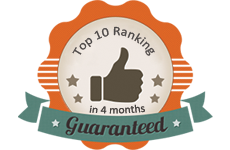 To ensure your website reaches top 10 ranking, we offer a ranking warranty on all our campaigns. If your website does not reach top 10 for at least 80% of your keywords by the end of the initial SEO campaign (at the end of the 4th month for the most clients), we will continue SEO work FREE OF CHARGE until we deliver our promised results and achieve top 10 ranking.